EDL chanting like monkeys. And being their usual hypocritical retarded selves. The labels 'far right' and 'far left' - are just away to avoid ever getting anything done. They're just used as a way to criticise and insult people. Many people of independent and non-aligned opinions are often labelled in the same way, because if you can label someone as being part of a Faschist or any way negative group - you can criticise them and their argument. People cannot grasp the concept of independent and indifferent opinions. If they cannot place you with a set group then they do not understand why. This is part of the plan to pit humanity against one another. 'Divide and conquer'. This is a common stragem of the Zionist scum. The EDL exists purely to keep people in line. It is a police controlled group. Designed to make the followers look like violent racist thugs. It may be said that in some aspects they have a point, but overall they're hypocrites and thugs out to cause trouble. Anyone who follows the EDL is being kept from seeing the bigger problems behind the small side issues - such as Islam. The bigger problems are never even touched by the EDL lot, they ignore the fact that our government promotes the politically correct propaganda. And that their beloved Israel created Islam and mass immigration - which brought the Muslims here. They do not realise that their acts only further allow pro Muslim laws to be enforced and politically correct nonsense to become worse. Israel is the real face behind the EDL - they want Englands support against Muslims because they want to steal their lands (all), as well as their riches and oil. Indeed anything of worth. 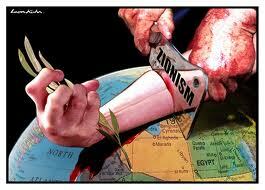 Israel supports the Zionist, Talmudist sick debauced ideology - and if the EDL had any sense they would oppose this. Please watch the video to see the Talmudic evil that the EDL either ignore or cover up. Educate yourself. Don't follow the crowd.